The grieving family of the first victim killed in last year's Berlin Christmas market attack is still waiting for Chancellor Angela Merkel to send her condolences. Frank Hofmann met the truck driver's parents in Poland. Janina Urban has set the table in the living room and placed a plate full of Christmas cookies on it, along with Berlin-style iced doughnuts filled with red jam. Her son, Lukasz Urban, was the first victim of last year's Berlin terror attack. The cheerful Polish truck driver was shot by the attacker Anis Amri, who stole the truck and later drove it into a Christmas market, killing 11 more people and injuring 70. Ever since then, Janina Urban and her husband Henryk have tried daily to come to terms with the heinous crime. Lukasz Urban's parents live in the same building as their grandchildren and daughter-in-law Suzana, who is Lukasz's widow. In December 2016, Suzana's husband had reached his destination one day earlier than planned. He decided he would spend the night in the driver's cabin on the outskirts of Berlin and unload the several tons of steel from his truck the next day. Now, his framed portrait stands on the chest of drawers in the living room. His parents, Janina and Henryk Urban, sit at the table. Janina Urban's eyes are full of grief and bitterness. Outside in the yard, the mother and father had struggled to decide whether they should speak to us. Now they would like to be good hosts and are offering us coffee. "I simply don't understand the world anymore," says the father. Lukasz's brother died 10 years before the terror attack. Now the two brothers are buried next to each other in the cemetery of Banie, the neighboring town. The parents' grief is mixed with anger. Lukasz's mother Janina, in particular, cannot hide the negative feelings she has toward the German government, especially Angela Merkel. The mother of the victim had hoped for a personal gesture – a "personal condolence letter," for example. On the first anniversary of the attack in the week before Christmas, a ceremony will be held to inaugurate a memorial for the victims of the attack on the steps of Berlin's Kaiser Wilhelm Memorial Church. Lukasz Urban's name will be one of those to appear on a step in golden metallic letters. "But what kind of symbol is that – a name on a set of steps?" asks the father, Henryk Urban. Together with the victims' relatives, the city of Berlin founded a board of trustees that chose the site of the memorial together. 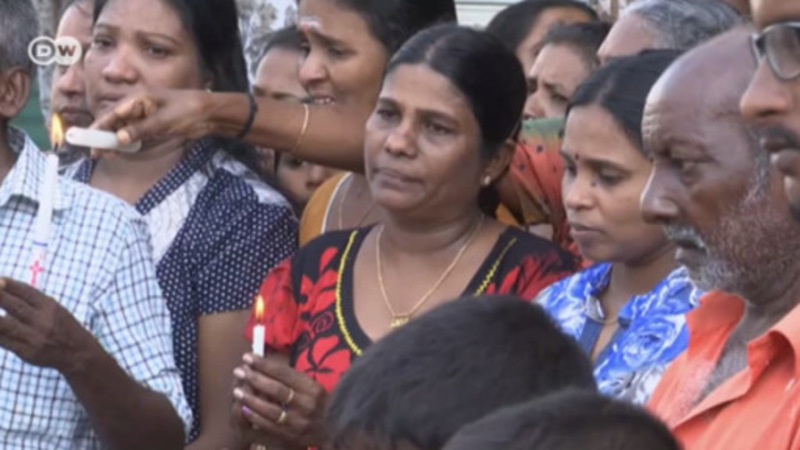 But the parents of the murdered trucker's parents are still stricken by grief and faced with the sheer impossibility of coming to terms with the personal consequences of this terrorist attack in one year. From the living room window of the Urbans' apartment, there is a view of the main street of Roznowo, a small village in the flat countryside of the Polish part of West Pomerania province. The German border along the Oder River is a 15-minute drive away. It is a conveniently located area south of Szczecin – not far from the Polish highway to the Masuria region and the German highway to Berlin and Hamburg. The region belonged to the German Reich until 1945. After the Iron Curtain came down and Germany became reunified, many observers wondered how the relationship between the Poles on the right bank of the Oder River and the Germans on the left bank would develop. "Berlin was like Szczecin to Lukasz," says the father. His son had been driving for 10 years – and he always enjoyed driving across the border. The family liked the German capital and the neighboring German state of Brandenburg. "There are fine people on the other side of the border," says Henryk Urban. But to him, the German government, authorities and official organizations are "disrespectful." Lukasz Urban was shot by an Islamist terrorist who had actually been under police surveillance for a long time – but not in the weeks running up to the attack. No one had come from the company "that made Lukasz wait, nor did they apologize," said Henryk Urban. He said that if the truck driver had been allowed to spend the night on Thyssen-Krupp premises, his destination, he would have been alive today. "Two German truck drivers there before him were allowed to stay on there." According to psychologists, negative attitudes are reinforced when justified expectations have not been met for too long. Janina Urban is a faithful Catholic. "Our parish priest helped me a lot," she says. Father Tadeusz Giedrys later holds a prayer service two buildings down in the village chapel, which was a Protestant church until 1945. "There have been many tragedies in this family," he says. "Lukasz' mother lost her second son; it was another big blow. I saw the nervous breakdown. It is important in cases like that to be around people." When the coffee cup is half empty, Janina Urban gets up and fetches a box of photographs from the adjacent room. She shows us photos of Lukasz Urban as a baby, child and teenager – usually smiling. As a teenager, he had slightly wavy hair. Three years before he was born, his mother had moved from a small village on the Polish-Belarusian border to Roznowo. She started working as a clerk in a transport company. Her son's choice of profession was virtually predestined. The German chancellor, a pastor's daughter, owns a house in Brandenburg not far from where the Urbans live. The gestures made after the attack count for Janina Urban. On the Polish side, the president came to her son's funeral. To this day, she is still reeling from the initial shock of hearing from the media that her son was considered to be an attacker himself. In the months since it became clear that there would be a meeting with the German chancellor and the victims' relatives in the week before Christmas, she has been thinking about what she wants to say there: "I want to tell Mrs. Merkel that she has my son's blood on her hands." It is a tough condemnation. But it documents the disappointment of this Polish mother who lost her son to Islamist terror. The victims' relatives wrote an open letter to Angela Merkel at the beginning of December, complaining that she had not visited the relatives early on. They also criticized the failure of the authorities in the fight against terrorism. In March 2017, the German government appointed Kurt Beck, the former premier of the state of Rhineland-Palatinate, as commissioner for the victims' survivors. Beck complained about the government's "misjudgments." The then German President Joachim Gauck met with the survivors personally, "but not the chancellor – and that was perceived by the survivors as a clear shortcoming," Beck said. Janina Urban says she has good memories of her meeting with the German president. The way the relatives of the victims were treated during their visit to Berlin's Breitscheidplatz two months after the attack was also very compassionate, she says. Joachim Gauck, a former pastor, talked to her about her son's 38th birthday, which he — had he been alive — would have celebrated shortly before the meeting. Gauck was obviously well-prepared. "I was impressed," says Janina Urban. Lukasz Urban worked for his own cousin, Ariel Zurawski, who owns a hauling company. He, too, grieves for Lukasz, "my best driver." But Ariel Zurawski is also full of anger. Although he received €10,000 ($11,755) in compensation, the damage he has suffered is "10 times higher," he says. He then says something that explains a lot: "You know, that is a typical attitude by the Germans — perhaps not all Germans, but a lot of them — toward us Poles: If you are a Pole, you have no rights. That's how it is!" Kurt Beck, the commissioner for the victims, does not see it like that. He says he made several phone calls in a bid to help Ariel Zurawski, including to the company that leased Zurawski the truck. The Swedish manufacturer suspended the leasing payments as a result. Since taking on the task in March 2017, Beck has seen more suffering than any other high-ranking representative of the state. "I couldn't do any more to help," he says of Ariel Zurawski. And he adds: "I think that we in Germany always said that something like that in France could happen to us as well. But we still weren't really prepared." But Germany could have observed how France reacted after the November 2015 Paris terror attacks and the one in Nice in July 2016. There, the state went into mourning, and every victim was treated as the victim of an attack on France. "In my case, nothing has happened; we're still waiting for the German side to take some kind of action," says Zurawski. His cousin Lukasz Urban is buried in the cemetery of Banie. Next to the graves of Lukasz and his brother is that of their grandparents. In between, there is an empty space covered with artificial turf. It is the space that Janina Urban has reserved for herself and her husband.